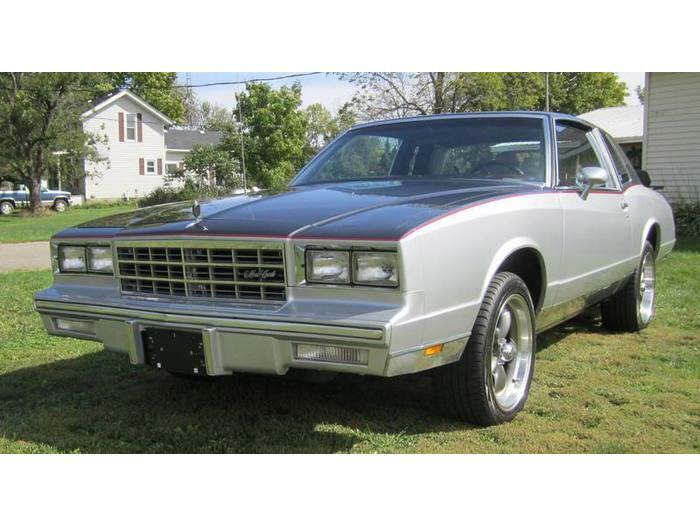 The base model Monte Carlo’s were virtually unchanged from the previous year but several new paint colors for the SS models (including black, maroon, and silver in addition to white), pin striping, and other options. The metallic blue color offered on previous SS models was dropped. T-tops once again came in as an option midway through the year. The 229 cubic inch V6 and the 350 cubic inch diesel were also dropped but the new TH200-R4 became the standard transmission on SS models along with a revised sport rear axle with 3:73 gear ratio. A new 262 cubic inch 4.3 liter V6 was introduced and was fuel injected with throttle body fuel injection. All V8′s were equipped with computer controlled quadrajet carburetors. The V6 and V8 models could be optioned with either a three or four speed automatic transmission but the V8 in the SS models only came with the four speed automatic.